A spell of days gone by, among ancient furniture, painted in fresco walls and adventures’ memories. 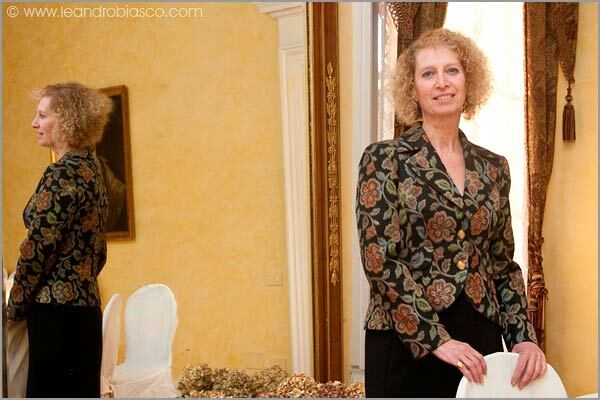 A refined, intimate and cosy atmosphere, due to Donna Giulia’s homely management, Villa Pestalozza’s owner. 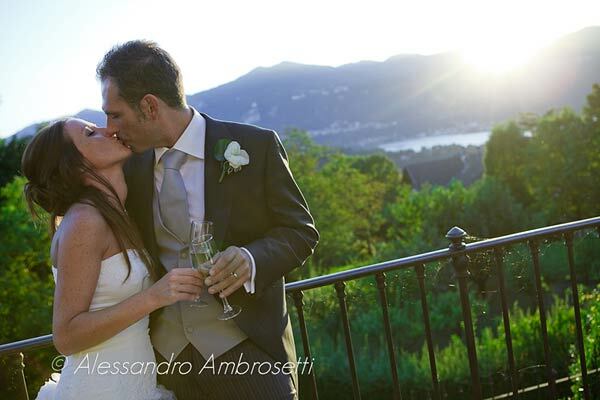 A breathtaking view on the Orta Lake. 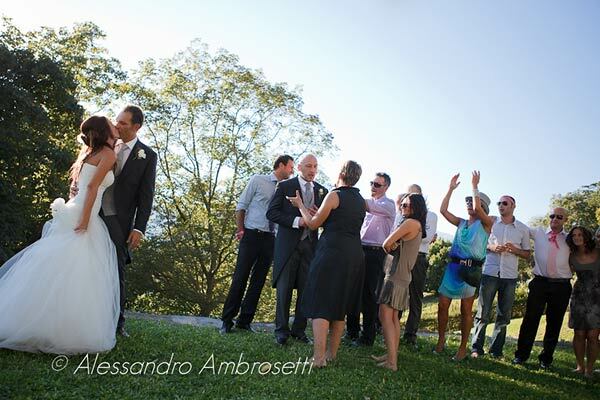 A wide park, perfect for an open air wedding party. 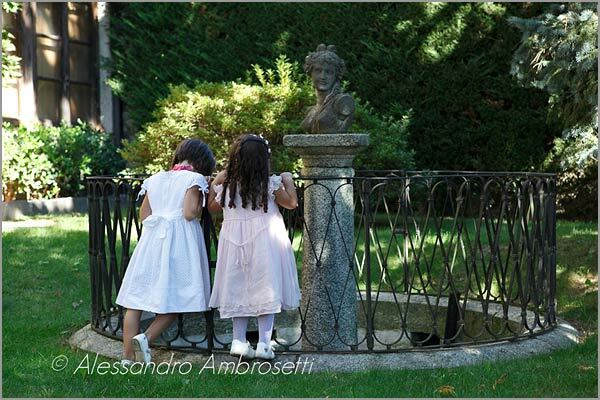 In a few words….this is Villa Pestalozza, the fascinating location in Miasino, on the Orta Lake. But not only! 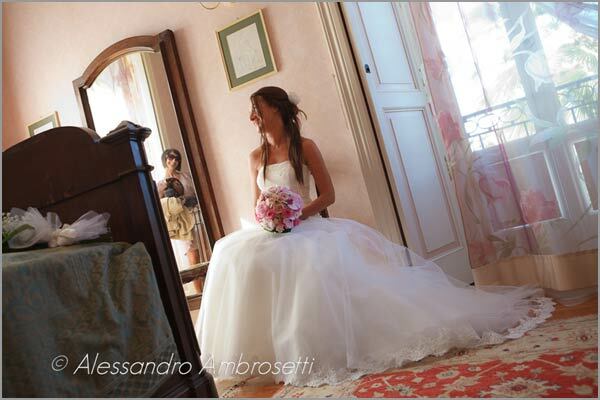 For the married couple’s first night there is, included in the location’s rent a cosy, pink, ancient suite with a wonderful view on the lake. when some wealthy families of Milan arrived here, seeking safety in fight from the Black Death. towards the lake, where Villa Pestalozza raises. 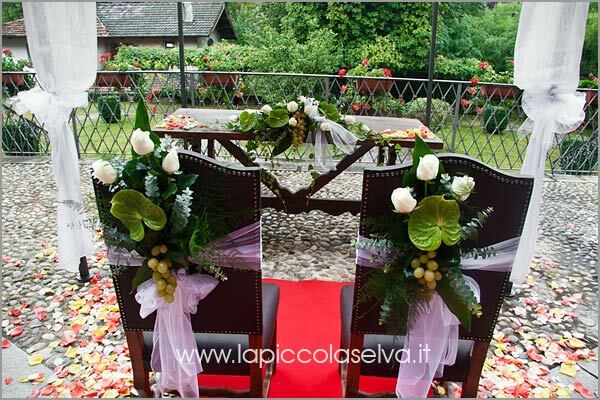 As soon as you cross Villa Pestalozza’s wrought iron gate you enter in a blooming and fascinating park, where the wide green meadows surrounded by blooming flower-beds alternate with shaded areas, creating a perfect frame for a ceremony or an open-air party. Blue and white hydrangeas flank the romantic avenue which will take you to the beautiful construction wisely restored with the utmost respect of a calibrated harmony between the age-old park and the mansion hose building began at the end of eighteenth century. Inside, the main hall’s style is the “Empire Style” : a neo-classicism current, which interested architecture, furnishing, decorative and visual arts of the XIX century. Empire Style developped during Napoleon the First age, for the purpose to celebrate Napoleone Bonaparte’s accession and then, spread in a great part of Europe. 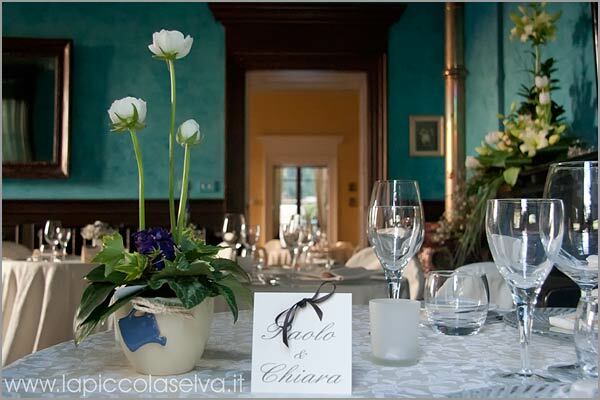 Villa Pestalozza owns four reception-rooms, all joined, in age style, in which 80/85 persons could be comfortably hosted. The EMPIRE HALL faces the lake, just in the middle of the mansion: it’s a large hall whose ceiling is painted in fresco, whose walls are in venitian yellow gold stucco, in which there is a big Empire ooking-glass, a marble bust in a niche and the anchestors’s portraits on the walls. The PIANO-FORTE HALL is situated between the hydrangeas flanked entrance alley and the lake: it is a beautyful room whose walls are painted in venitian blue peacock fresco, framed by an ancient dark wooden boiserie, whose ceiling is painted with bunches of flowers, and in which there are a majolica stove and an one century old piano-forte. The BILLIARD HALL is embellished by: Andrea Appiani’s engravings, representing Napoleon the First’s battles and triumphs, a blowed pink flowers and green leaves Venitian chandelier, by the walls in green Venitian fresco, by the light coloured wooden boiserie, by ancient family’s papers adn a fireplace. The floor, in oval shaped multicolor strewn, was made by the same handicraftsmaster who made Vittorio Emanuele’s Gallery in Milan. 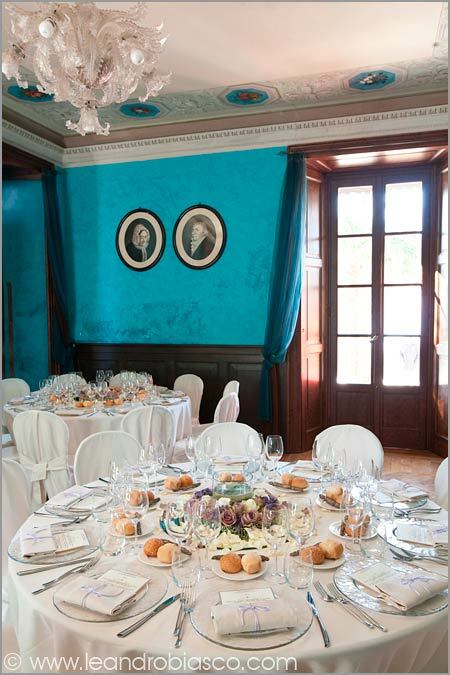 The PONIATOWSKY HALL is a pleasant room with an ancient parquet, facing the HYDRANGEAS COURT, full of family’s memories. 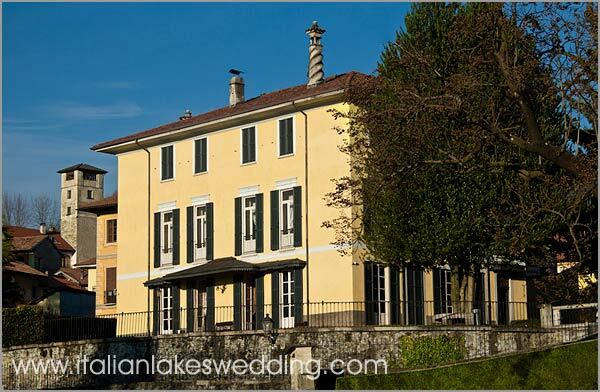 The slightly renovated by Donna Giulia’s touch facing the lake and the garden SUITES, are situated at the first floor. All of them have a wardrobe and a ” salle de bain “. Silence and quiet surrounding them promise deep rest nights. 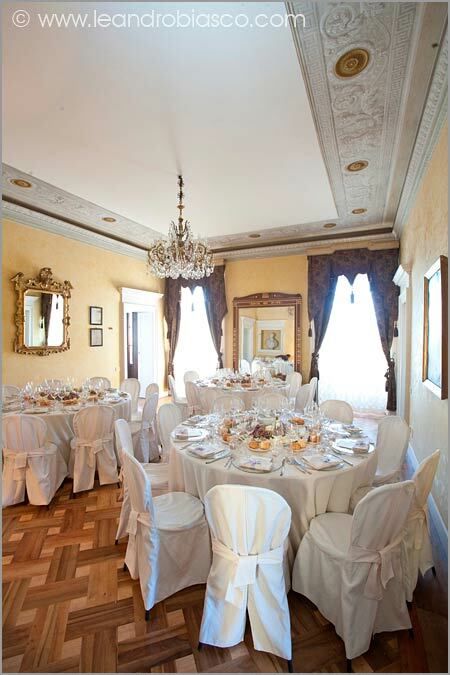 CAMILLIA SUITE is at the mariedd couple disposal, already included in the mansion’s rent, to spend a romantic first wedding night. The OTHER SUITES are at parents and guest’s disposition, subjects to reservation and against payement. 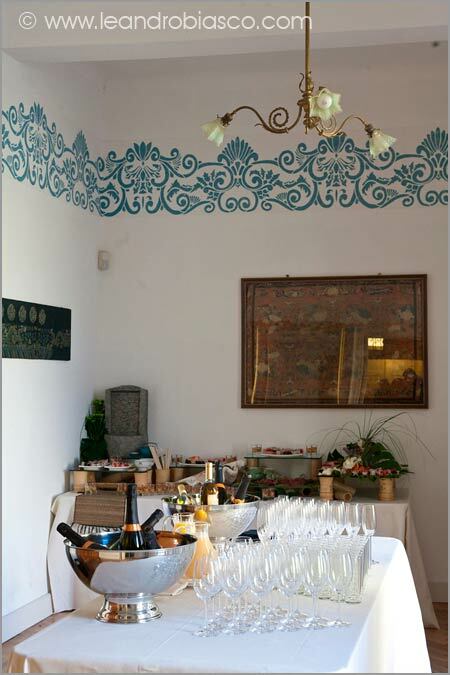 In Villa Pestalozza everything tells about a ” d’antan charme ” renovated by Donna Giulia’s touch, the owner of the location who, with hospitality and courtesy, will make you feel at home. 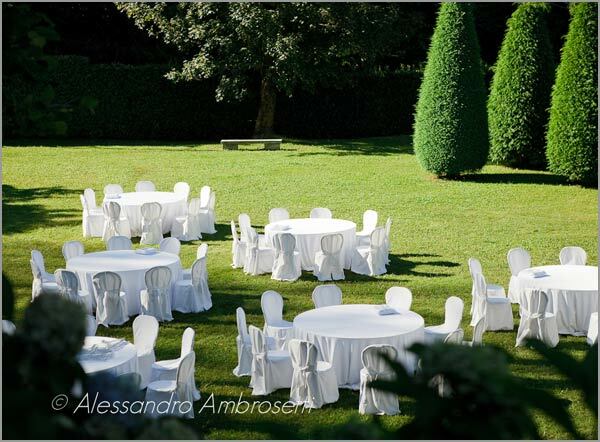 If, otherwise, you will invitate a big number of hosts, or, if you prefer to celebrate your wedding in the open air, from May 2011, the mansion will dispose of a wrought iron panoramic TERRACE in which 120 persons could comfortably stay. 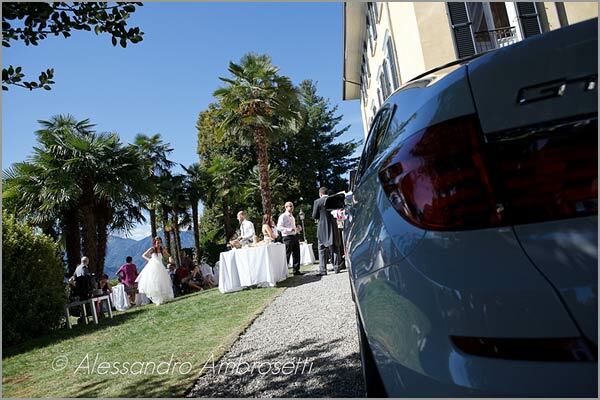 If you decide for the civil rite, you could celebrate, at a really very short walking distance from Villa Pestalozza, the ceremony at PALAZZO SPERATI, Miasino’s Town Hall: a seventeenth century construction, built in the Orta lake noble mansion classic style. 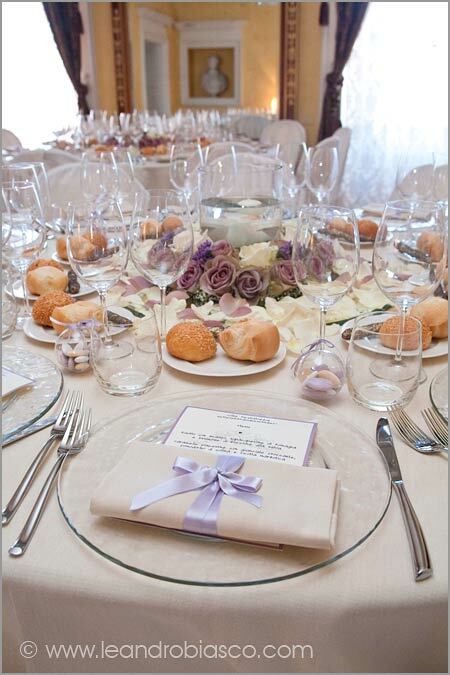 Weddings are usually celebrated in the open air, in the suggestive flagstone paved and facing an ” all’italiana garden ” mansion’s court. 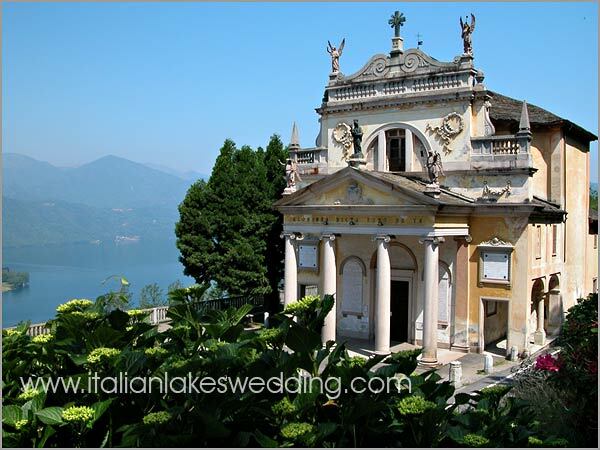 If you decide for a religious ceremony, you could choose between the imposing SAN ROCCO Church, at walking distance from Villa Pestalozza through the hystorical old Miasino village, or BOCCIOLA SANCTUARY, in Barocco style, famous for the wonderful view on the Orta lake and on the Alps. 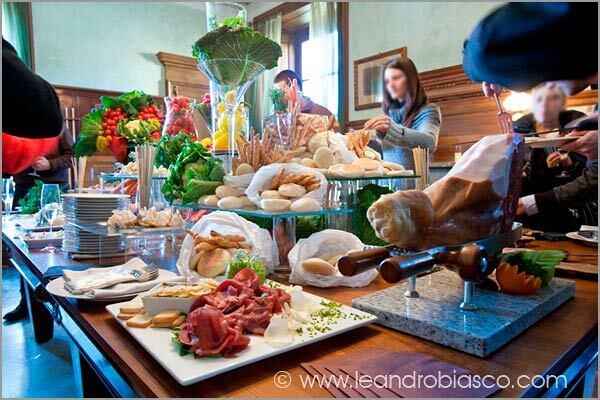 All this is Villa Pestalozza: there is anything else but the embarassment of choosing! 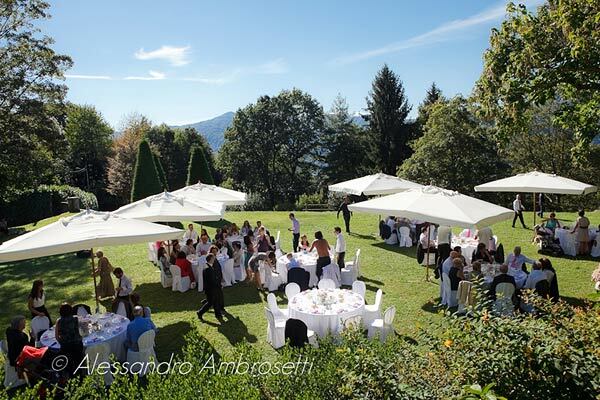 If you are an incurable romantic, if you would like to live the past time’s spell, if you would like to celebrate your wedding in an elegant, intimate and homely atmosphere, or in a big garden on the lake view, Villa Pestalozza will be the location of your dreams. Come and discover it in Miasino, phoning to fix an appointment to: + 39 338 91 11 321 or filling in the proper form below.